Speedo has launched the world’s fastest swimsuit called LZR Racer (laser racer). 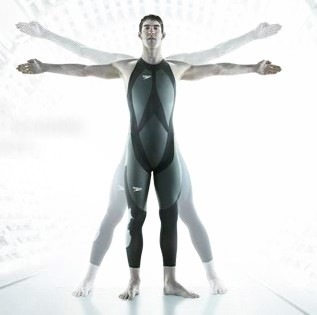 The LZR Racer concept was developed by Aqualab, Speedo’s global research and development facility. Aqualab works with world class experts from diverse industries including aerospace, engineering and medicine. Speedo has designed this swimsuit by consulting the National Aeronautics and Space Administration, NASA. The LZR Racer is considered as the most revolutionary performance swimming suit ever made. The International Swimming Federation FINA approves Speedo’s LZR Racer suit. Click here to read more. Olympic swimmers broke 25 world records during Beijing Olympics 2008 at Water Cube over the course of the nine-day swimming program. Read more about LZR Racer from Sports Illustrated.